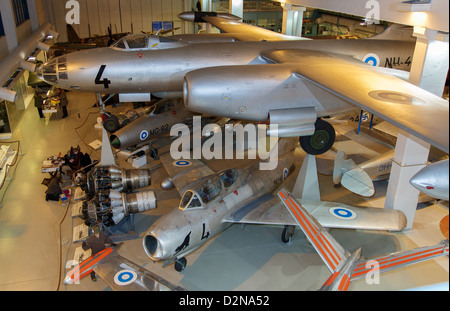 Finnish Air Force veteran Ilyushin Il-28 bomber on display at Central Finland Aviation Museum in Tikkakoski. The Ilyushin Il-28 (Илью́шин Ил-28, NATO reporting name Beagle) was obtained from the Soviet Union for the Finnish Air Force for the roles of aerial photography, maritime surveillance, and target sleeve towing for the firing practice of interceptors and anti-aircraft artillery crews. 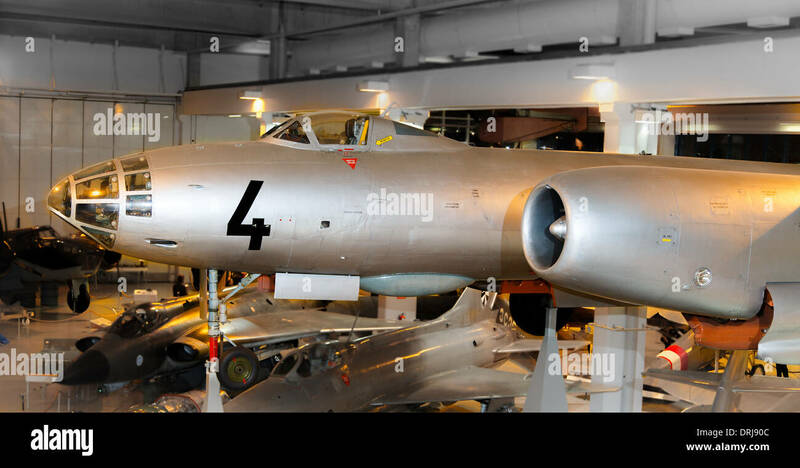 Paris Peace treaty of 1947 prohibited bombers from the arsenal of Finland, but nevertheless the first aircraft coded NH-1 was delivered to Finland in January 1960 fully equipped for bombing, with the bomb sight, bomb racks, and the twin tail cannons in place. The three remaining aircraft designated as NH-2, -3, and -4 were of the Il-28R tactical photo reconnaissance version, with extra fuel in bomb bay and wingtip-tanks, and with one forward firing cannon removed. The production of the Il-28 had ended in 1956 and it was already obsolete as a bomber when delivered to Finland. Finns installed in the bomb bay two aerial photography cameras and in between the winch for the steel wire of the target sleeve. The Il-28 served in the Finnish Air Force in the years 1960-81. The museum aircraft NH-4 is on display in Tikkakoski. Cold War era Ilyushin Il-28, MiG-21F-13, and MiG-15UTI aircraft on display at the Finnish Air Force Museum at Tikkakoski, Central Finland. 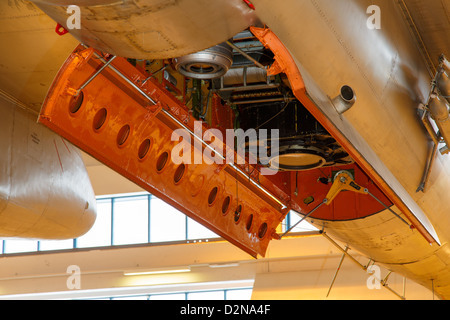 Aerial photography cameras and air target towing winch mounted inside the bomb bay of a Finnish Air Force Ilyushin Il-28 aircraft.